Crocus sativus, commonly known as the saffron crocus. Saffron crocus grows to 20–30 cm (8–12 in) and bears up to four flowers, each with three vivid crimson stigmas Together with the styles, or stalks that connect the stigmas to their host plant, the dried stigmas are used mainly in various cuisines as a seasoning and colouring agent. 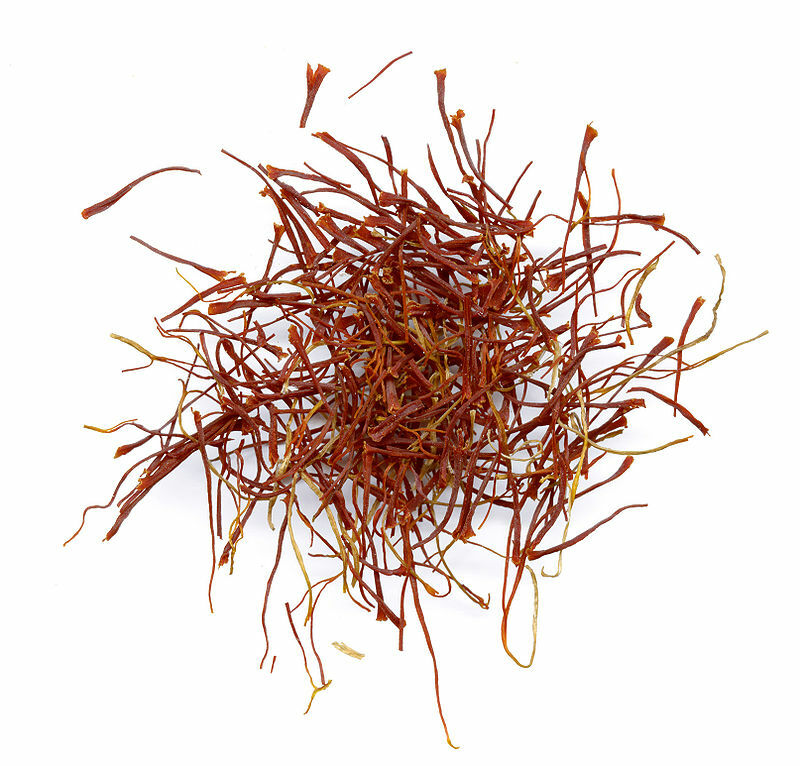 Saffron, long among the world's most costly spices by weight, is native to Greece orSouthwest Asia and was first cultivated in Greece. It needs very good drainage and can survive winter cold to -10 C. preferring friable, loose, low-density, well-watered, and well-drained clay-calcareous soils with high organic content. Traditional raised beds promote good drainage. After a period of dormancy through the summer, the corms send up their narrow leaves and begin to bud in early autumn. Only in mid-autumn do they flower. Harvests are by necessity a speedy affair: after blossoming at dawn, flowers quickly wilt as the day passes. All plants bloom within a window of one or two weeks. Just pick the stamens as they appear and dry on paper in a warm room, then keep in an airtight jar. sold as a bag of 3 corms ready for planting.